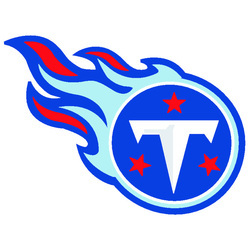 After a very disappointing season the Titans largely decided to stay the course. The coaching staff was retained almost entirely and the only front office move that was made was the firing of executive vice president Mike Reinfeldt who wasn’t heavily involved in the personnel side of things. Many said that this move was a reflection of Bud Adam’s continuing displeasure that his executives failed in Adam’s delusional pursuit of Peyton Manning. Adams seems to be another one of these owners that seems to be too heavily involved with his own franchise. It used to be his love affair with former Vince Young, and then this season he threatened the entire staff and then didn’t fire his head coach or either coordinator. Taking a hard stance and then making no changes doesn’t really make much sense. Adams needs to take a step a step back now that he is in the latter stages of his life. On the field, there are a lot of concerns for the Titans. Jake Locker does not look anything like a franchise quarterback to this point, but an injury situation made it hard to evaluate him this season. The Titans probably have to roll with him another year. Chris Johnson looks like a good starting running back, but nothing close to the “premium player” he wanted to be paid like. Defensively, there are concerns at every level. This unit was one of the worst in the league and its tough to understand why Jerry Gray was retained. Despite having some good talent, Tennessee will need a great offseason to become a competitive team again. Interior Offensive Lineman: This unit has been a big disappointment ever since Chris Johnson ran for 2,000 yards back in 2010. Center Frenando Verlasco should be brought back before he hits free agency. He was their best starter when he had to start due to injuries. Leroy Harris is a below average atarter, while Steve Hutchinson was a disappointment. Hutchinson is too old to be counted on to come back strong. Two new starters at guard and some depth is needed. Safeties: This position needs a wholesale change. Michael Griffin was given a big contract and then had his worst season as a pro. He struggled in both defending the run game and the pass game. Given his contract it may be hard for the team to move on from him, but some competition is needed at least. The problem is that Jordan Babineaux is not a capable starter at the other spot. He must be upgraded as well. Defensive End: Kamerion Wimbley and Derrick Morgan did a decent job as starter, but neither one of them strikes me as a top pass rusher. The Titans will probably keep them as the starters because of all their other needs, but a double-digit sack type guy would go a long way for this defense. Cornerback: Jason McCourty and Alterraun Verner are solid starters; I am particularly a fan of McCourty’s work. However, there is no depth to speak of here, and the Titans were constantly torched in their nickel and dime packages because of this. A good nickel back, or a guy to replace Verner on the outside and allow him to play the nickel, is a necessity. Tight End: Jared Cook is most likely not going to be back. He asked to be traded at the deadline this year to no avail, and since his contract is expiring I would expect him to depart. He never developed to his full superstar potential anyways. I bet he has success elsewhere though. The Titans will need to replace him.